Kansas City is a historical city with many excellent activities for travelers to enjoy. Not to be missed, the unique barbecue recipes and horizontal landscape are just the beginning of the activities that can be found in the vast plane of KC. Guests of KC can enjoy dozens of shopping centers and restaurants as well as several theme parks and other attractions. The area is dotted with performance centers, theaters and sports arenas where travelers can see anything from high culture to home runs. No matter what a traveler is looking for, from performances to renaissance fairs to professional sports, Kansas City is full of many options to choose from. The majority of the action and attraction of the city takes place across the river on the Missouri side. If you are looking for good shows, musicals or concerts, the Kauffman Center in the eastern side of Kansas City can cater to those desires. Travelers can experience much of what high-culture has to offer as well as some of the more well-known contemporary artists of the day playing all throughout the year. View restaurants, shopping, cafes, churches and more. Professional sports are also abundant in the region. Football fans can find athletic solace in the massive Arrowhead Stadium in the fall to see the patron team of KC, the Chiefs. Just across the street is Kauffman Stadium, home of the Kansas City Royals. These twin stadiums are conveniently located off the beaten path of the hub of the city, allowing for less traffic, a shorter commute and more space to stretch the legs when enjoying a sporting event. 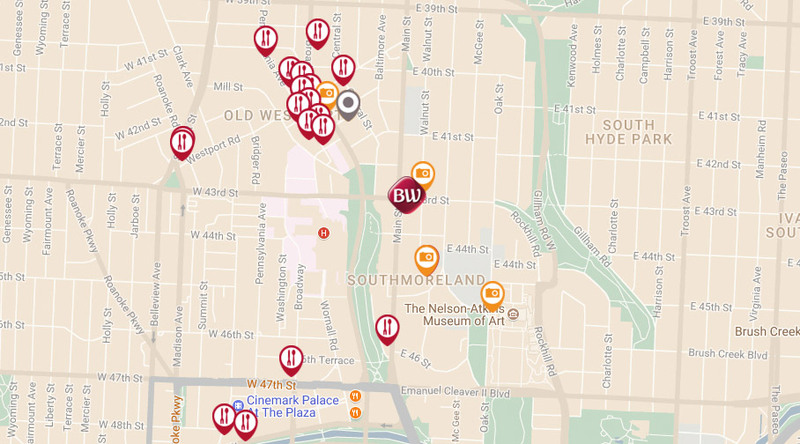 Travelers that enjoy architecture and fine art will love the 200 individual fountains scattered throughout the city. In fact, Kansas City is often called the “City of Fountains” because of the fountains. The fountains that surround the Kauffman Stadium number are among the most elaborate and largest privately funded fountains in the entire world. The French inspiration for many of the fountains, have even awarded Kansas City the name “The Paris of the Plains.” With all of these fountains to see, one can easily make a day out of just viewing them all. Lovers of the old traditions of courtly competitions and carefully construed art will find something to occupy their time with in Kansas City. The Kansas City Renaissance Fair is world renowned for its authenticity and attention to detail. The fair itself is open year-round, weather permitting, so no matter what time of year it is, travelers are going to be able to find all of the trappings of extravagantly medieval themed activities. 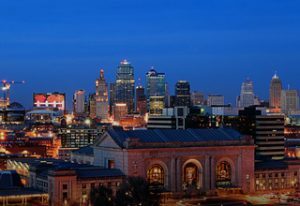 With all of the activities happening in the Kansas City area, as well as the large array of shopping, every traveler will find something to do. Kansas City is more than just a stop-over between the coasts. It is a place where time can actually slow down so that travelers can see some of the more subtle charms that the region has to offer.